In terms of how it would scale in the adrenaline rush meter, I'd say indoor skydiving is between flying in an ultralight aircraft and cliff diving. 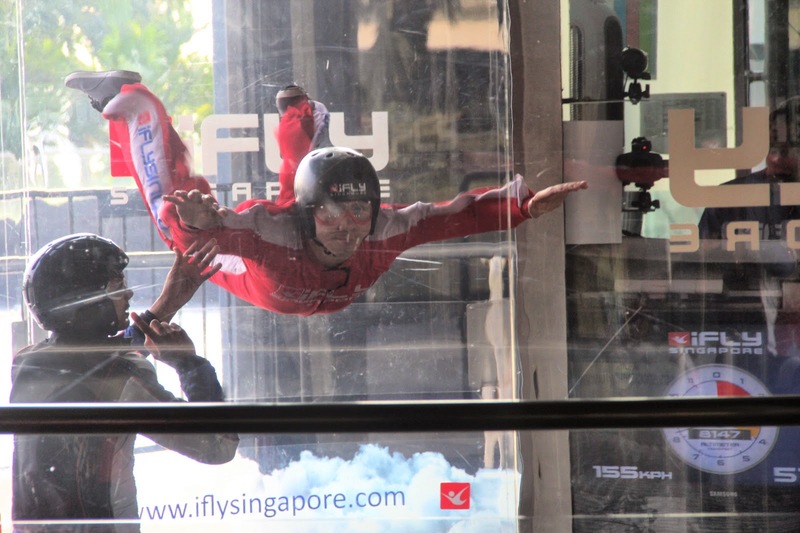 It's one of the things that I wanted to do in Singapore, and I was able to finally do it during my business trip there. 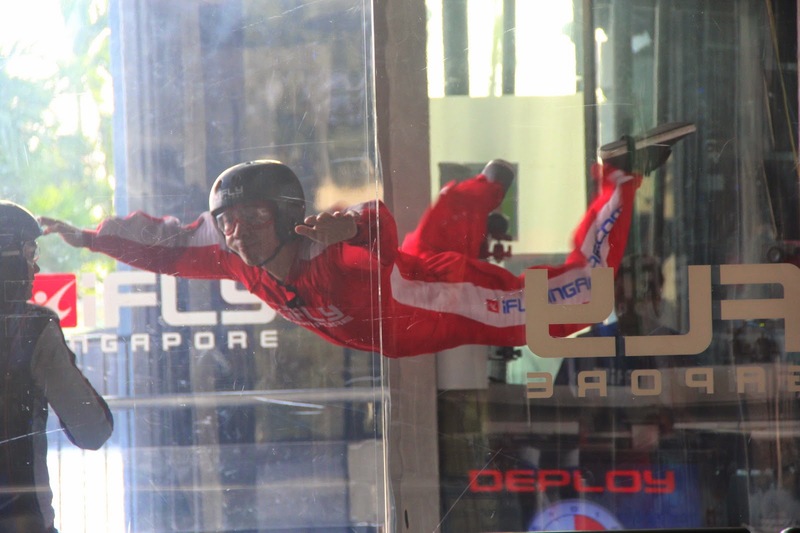 The sport is to be done in a facility called iFly Singapore, whose motto is similar to that of Chef Gusteau of Ratatouille - anyone can fly. It's a challenge that I don't like to pass up, is it? 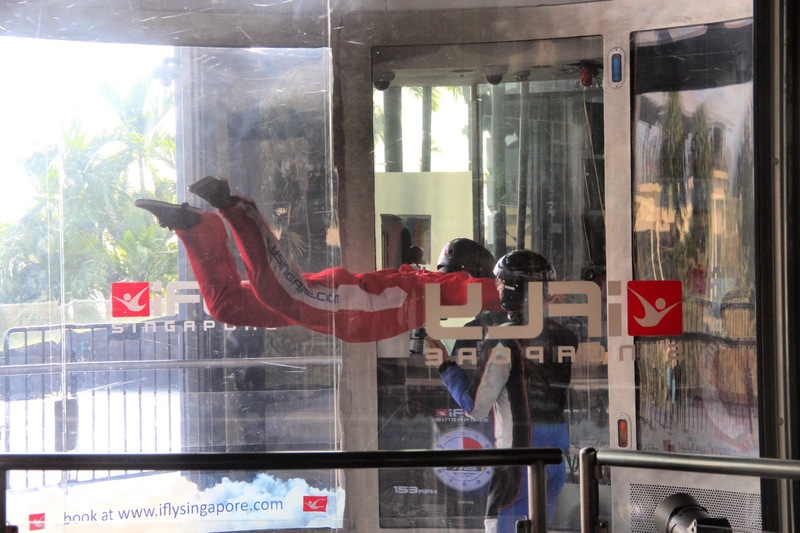 iFly is located in the resort island of Sentosa, which already counts Resorts World, Universal Studios, three artificial beaches, and of course, flowboarding, among its attractions. 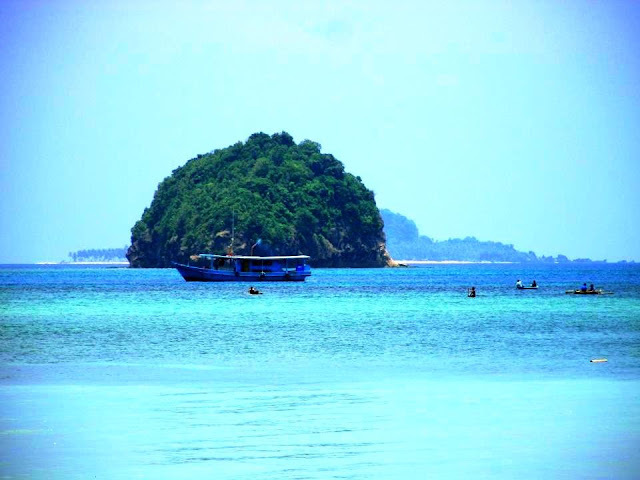 I visited the island on several occasions, but this was the only time I got the chance to try this. 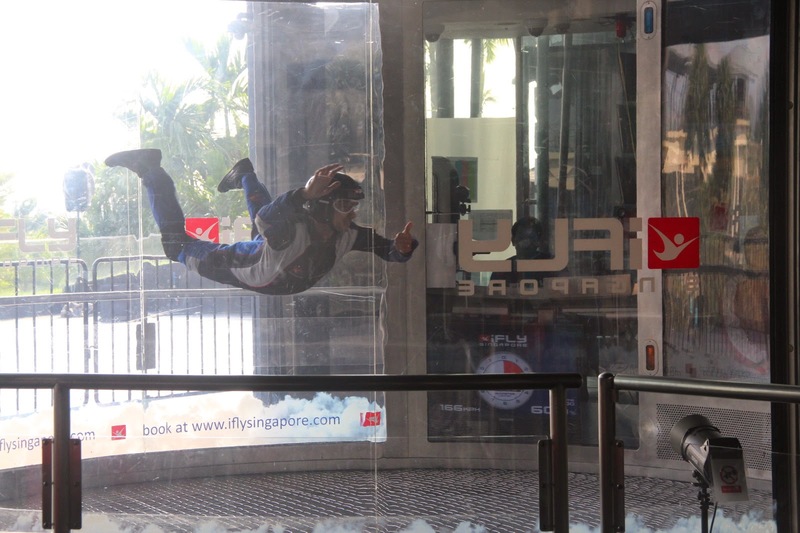 I invited my officemate, Darlene, to accompany me, and after having lunch at a bar in Siloso Beach, we set out for the iFly facility. After registering and paying the fee, I was told to come back in a set time. We passed the time at a small cafe serving kaya toasts and coffee. When I came back I and the rest of the group doing indoor skydiving that session were ushered into a small room where we were given some orientation on what to expect. After the video presentation we went to another room where our instructor gave demos on do's and don'ts while on session. 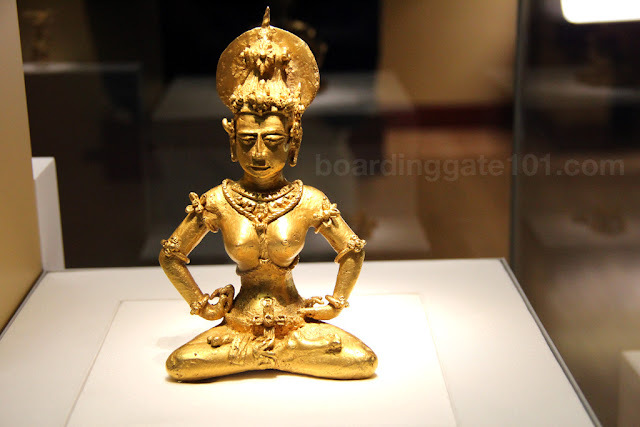 We were taught the proper body position and the angles of the arms and legs, as well as the hand signals which are used to communicate with the instructor. After the briefing we went to the second floor where the wind tunnel is located. Supposedly it is one of the largest vertical wind tunnels in world. We started to gear up - flight suit, goggles, and a pair of ear plugs - before entering the wind tunnel. It is enclosed in clear plastic panels, and it extends about five stories high. The blowers soon came to life, the noise jarring if not of the ear plugs stuck in our ears. The instructor, a South Asian-descent named Danny, entered the tunnel and started doing backflips and loops to the delight of the spectators, including us. After he's done he beckoned to the first person in line, which is me. I stand at the doorway separating us from the tunnel and I can feel the rushing air - about 157 kilometers per hour - on my face. I crossed my arms in front of me as instructed, then let myself fall to the screen-like floor of the tunnel. I did hear a thud, instead the rushing air lifted me a few feet into the air. Danny started making gestures - like chin up, bend legs - as I struggle to keep my balance. I started spinning, which he tried to arrest by grabbing the back of my flight suit. A few more adjustments, and I found myself floating in the air. The session lasted about 90 seconds, which simulates the free fall being experienced in skydiving from 12,000 feet to about 3,000 feet. He nudged me to the doorway which I grabbed the sides to let myself in. He commented that I'm moving my legs unnecessarily, which is causing me to spin and out of balance. I think I did better on the second "dive." In fact I enjoyed it rather well that I told him I'd top up for the third. The third one is the one that I enjoyed most. I think by this time I already adjusted and more at ease. The air was also stronger this time, so I actually flew up to about three stories high. Danny was right beside me, so we were sort of being in a tandem formation. Side by side we spin sideways, we kicking the glass wall when we get too close, then dropped again only to rise up again. As the clock winded down he maneuvered to get us closer to the doorway, on which we exited after the other. I was so pumped up that now I wanted to do the real thing. 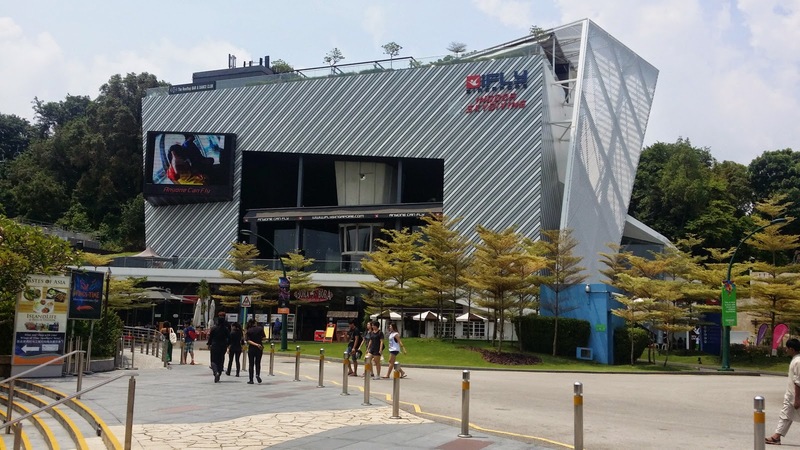 Gearing up before the "dive"
iFly Singapore is located in Sentosa Island, Singapore. The facility is located just by the Beachfront monorail station - which is the last stop of the Sentosa monorail line - and behind Siloso Beach. The monorail itself originates from Vivo City mall, which is above the Harbour Front station of the NE line (and Circle Line). 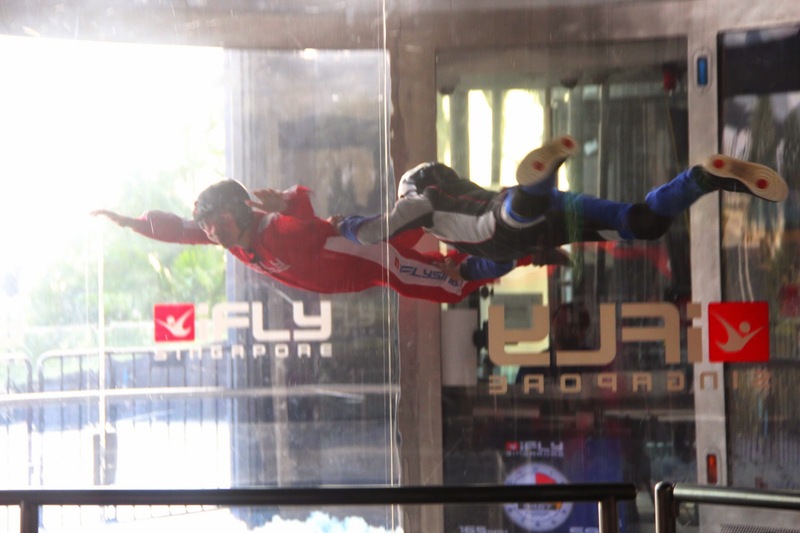 Tickets for the iFly indoor skydiving sessions can be bought on site or online, either from the iFly website (www.iflysingapore) or Groupon. 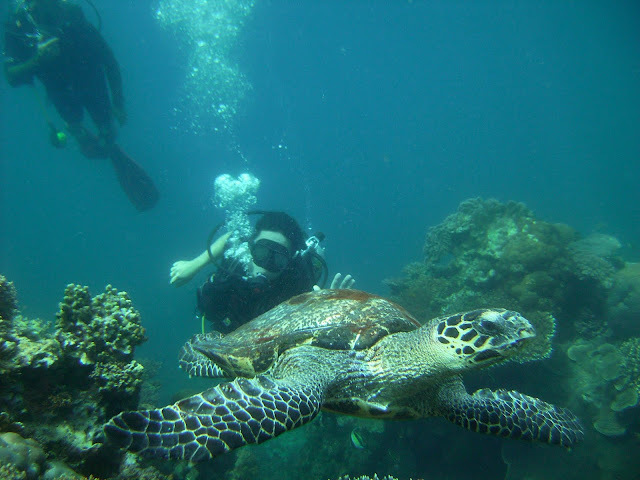 A 2-dive session costs SGD 99, and you can top-up with a third dive for an additional SGD 30. Tickets are cheaper if you buy them in advance. They charge extra to have your photos and videos taken during the sessions. They also offer other courses if you want to do the advanced stuff. Whoa! Sounds exciting, sounds tiring too. Haha. After numerous visits in the country, I've never visited Sentosa. LOL. Someday, someday. This has been a passion of mine for so long, glad to see other people like yourself enjoying it so much!